The Co-Curricular Record (CCR) is an official university document which encourages St. Jerome’s University students to reflect on and physically document the learning, growth, and development they accomplished throughout their time at the University. With the CCR, St. Jerome’s University will officially recognize and validate all of these integral experiences that are not captured by an academic transcript. The CCR is also a tool for students to seek-out and engage with different co-curricular experiences, authenticate the experiences they have, develop language to communicate what kind of learning took place, and reflect on how different experiences connect to in-class learning, professional aspirations, and/or personal interests. Who Can Access the CCR? The CCR is available to all St. Jerome’s University affiliated undergraduate students. Whether you’ve lived in residence, are academically enrolled, or have participated in the co-curricular experiences offered, you are eligible to build your CCR. Use the CCR How-To-Guide to find out how to access the CCR! Experiences should be added to your CCR at the end of the term in which that experience occurred. By adding them at the end of the term you are able to best reflect and indicate what competencies you achieved in having this experience. At the end of each term we will also reach out the validators of these experiences to have them validated. If you miss the add period you will not see your experience validated until the next terms validator outreach period. Students have the opportunity to participate in an incredible variety of activities and experiences throughout their undergraduate university career. All of these opportunities are important, however, in orer for the experience to count on the St. Jerome's University CCR, it must meet a set of criteria developed by the CCR Working Group. The criteria require eligible experiences to promote holistic involvement and development by being experiences that are connected to the University, promote active engagement, and are tied to intentional learning opportunities for students to engage with. In order to be officially authenticated on the CCR, an experience must be validated by an approved St. Jerome’s University or University of Waterloo validator. Students often participate in valuable experiences run by other groups and organizations; however, in order for these to be recognized on the CCR, there must be a formal partnership between the experience and us. Valid CCR experiences must be co-curricular. Specifically, co-op positions and components of courses that are captured on the academic transcript will not be recognized on the CCR. However, experiential components of courses that complement the academic components can be submitted for approval to be validated experiences (ex. service learning components of coursework). What is a co-curricular experience? A co-curricular experience is one that provides the opportunity for learning outside of the classroom. Co-curricular experiences may be related to academic content, or they may provide the opportunity for personal or professional development. Co-curricular experiences aim to provide you with opportunities for holistic learning and development. What are learning outcomes on the CCR? When reviewing your experience, you will choose the competencies that you feel most accurately captures your learning in that co-curricular experience. Each competency is defined by a list of learning outcomes. These outcomes can help you to define and articulate the type of learning you experienced. The learning outcomes associated with each competency do not appear on the CCR, but can be found on the Involvio app and in the Inclusion Guide to act as a preparation tool for interviews, applications, and personal reflection. Where do I access my CCR? The CCR platform is located in the St. Jerome's University app. How do I know if an experience counts for the CCR? Located on the CCR platform in the St. Jerome's University app, there is a bank of all the different co-curricular experiences that are applicable to your CCR. If you don’t see your experience listed, this does not necessarily mean that it doesn’t count as a CCR experience – it simply may not have been thought of before! To have the experience included on your CCR, it must go through an approval process and meet the eligibility requirements. How do I add an experience to the CCR directory? 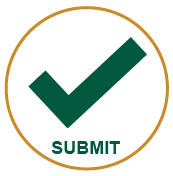 If you have an experience you want to add to the bank of opportunities for the CCR, submit a request to the Working Group. The experience will be reviewed against the eligibility criteria and will receive approval, edits for approval or be rejected. Once an experience is approved, it will be added to the CCR bank and you will be able to submit the experience for validation. Who are validators and why does an experience require one? Validators must be an approved staff, faculty, or student-staff member of St. Jerome’s University, the University of Waterloo, or one of the affiliated colleges. Each experience requires a validator to officially validate the request of a student to add an experience to their CCR. It is the validator’s responsibility to ensure that the student has met all requirements of the experience and is eligible for the experience to be added to their CCR. The validator’s name is recorded on the CCR next to the experience and represents the official authentication of the experience by St. Jerome’s University. If asked, the validator should be able to speak specifically to the student’s accomplishments and learning throughout the experience. In order to have an experience show up on your CCR, you must apply for the experience to be validated. At the end of each term, there will be a specified date that you must have all of your experiences submitted by (see the Important Dates section). The validator will then read through the competencies you've chosen and verify wether you have met the requirements. Once the experience has been validated it will appear on your CCR. When can I add experiences to my CCR? Experiences should be added once you have completed the experience. If your experience lasts all term, it will only be validated once it has been completed. If you add an experience that you have not yet completed it will not be rejected and you will need to add it again at the end of the experience. If my validation has been declined, will the experience appear on my record? Only experiences that have been validated by a supervisor will go on your record. Declined experiences will not appear. Can I add past positions to my CCR? Yes you can! As long as there is a supervisor who can confirm your involvement with that experience, you can add it to your CCR. How can I get a copy of my CCR? Where do I have to go? You do not have to go anywhere! The CCR is completely home-printable. All you have to do is log-into Involvio, select your CCR , send it to yourself and print. Voila! A paper copy of your CCR.